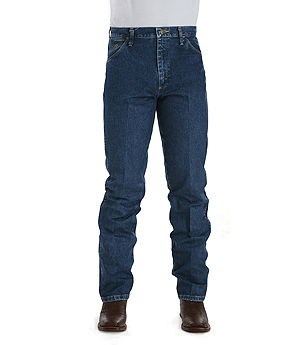 Wrangler’s popular Cowboy Cut jeans by George Strait – original fit Wow Wrangler and George Strait that’s a great lookin combo! Authentic five pocket styling. Scoop front pockets. Spade hip pockets. 18 1/2 inch by 16 3/4 inch silhouette. 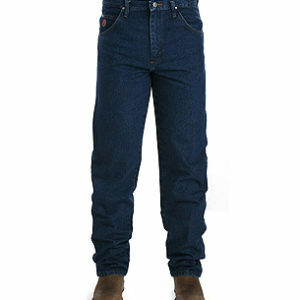 100% cotton, heavyweight twill denim. 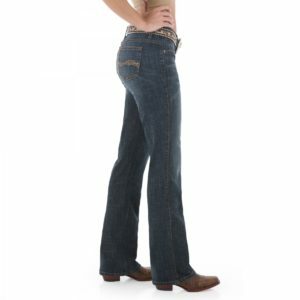 Available in heavyweight denim stone color and various sizes.